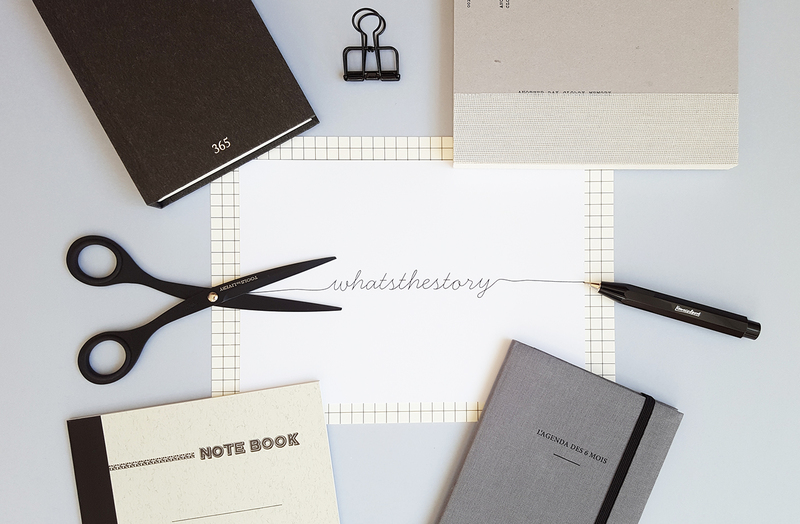 A passion for stationery, design and the little fine things in life gave birth to the whats|the|story online shop in 2015. With a Korean heritage and a Danish upbringing, I have combined my professional and personal background with a life-long passion for stationery and established my dream project with the Copenhagen based stationery webshop whats|the|story. The philosophy behind whats|the|story is to offer beautiful stationery for people aspiring for moments of presence and aesthetic everyday tools that celebrate the basics of writing, creating and drawing. In order to reach this philosophy, whats|the|story selects fine paper goods and stationery items from different corners of the world such as Denmark, Korea, Japan etc. I carefully select products to the collection, which are aligned with Danish design yet inspired by the aesthetics of foreign cultures. In the assorted collection of stationery you will find notebooks, calendars, pens and accessories. Everyone has a story to tell and the name whats|the|story symbolises the unique variety of stories, we all carry with us. Hopefully, our name will inspire you to write your own story in the selection of notebooks, diaries, cards and journals available on www.whatsthestorycph.com. Thank you for visiting whats|the|story.